Thanks to a grant from Investors Bank, the LGBT Network was able to kick-off its Mini-Grant Program for high school gay-straight alliance (GSA) clubs. In the Spring of 2017, the LGBT Network awarded four grants to local GSA clubs to support youth-led anti-bullying efforts in schools. Below are examples of GSA clubs utilizing their Mini-Grants for advocacy, outreach, and making their schools a safer and more supportive environment for LGBT students. Thanks to the support of this year’s Gala attendees, the LGBT Network will continue this program in the fall with 25 more GSA Mini-Grants! 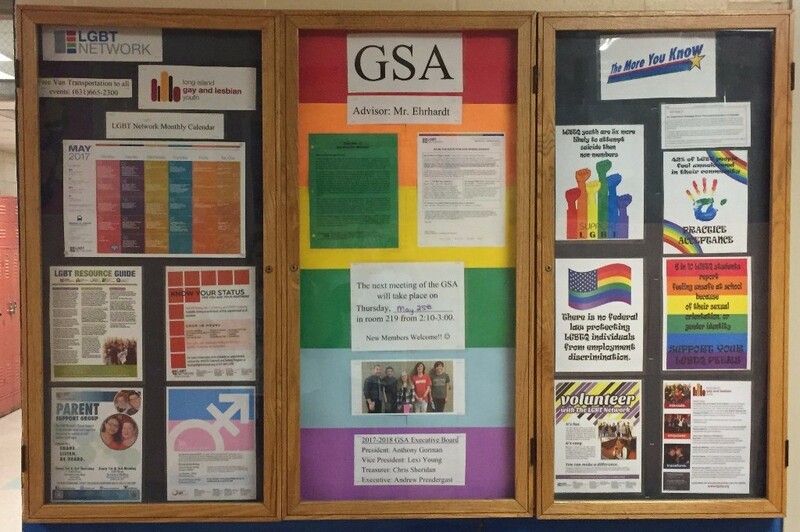 Students from Lindenhurst High School created their own GSA Club bulletin board to feature LGBT events and programs in their school and throughout Long Island. 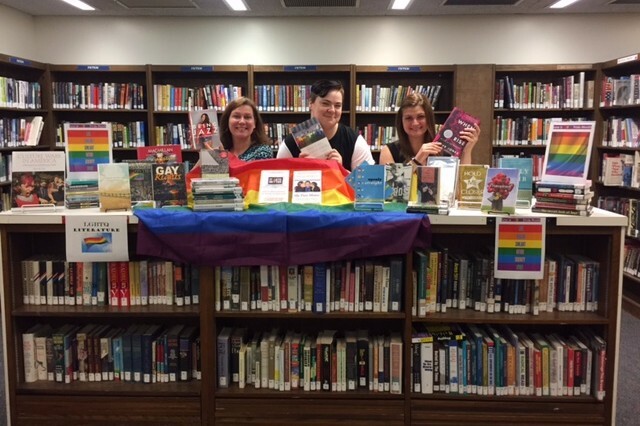 Lynbrook High School went through their library to catalog and tagged existing books as “LGBTQ” making it easy for students and teachers to search these books. They also purchased books about LGBTQ people and written by LGBTQ people. 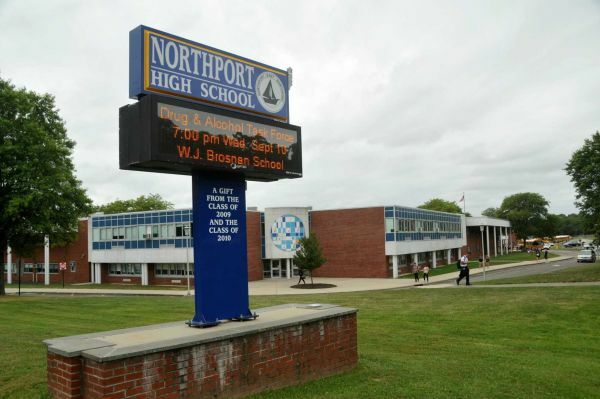 Students from Northport High School created a photo campaign to raise awareness about anti-LGBT bullying. The goal of the campaign was to “put a face” to the victims of anti-LGBT comments and bullying in schools. With your support, the LGBT Network is able to help GSA Clubs and their youth leaders make more impact to stop bullying. We thank you for your continued support to ensure our youth have a safe space to learn in schools. 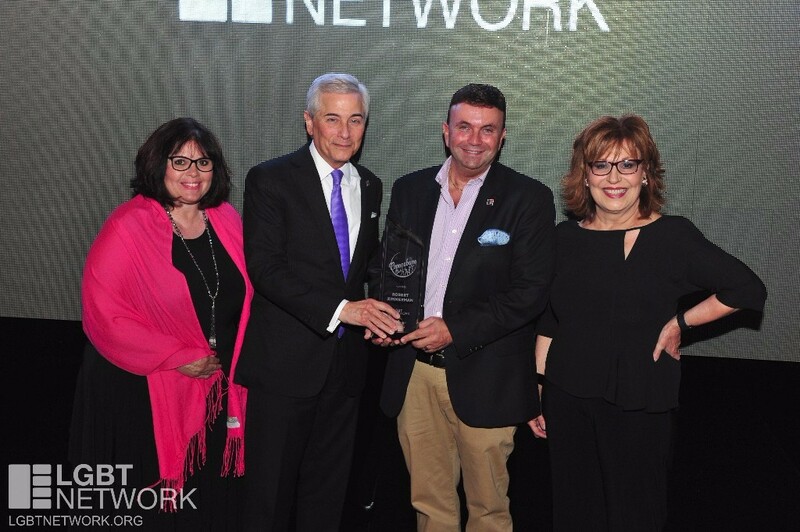 The LGBT Network extends a special thanks to all involved with our Copacabana Gala that raised funds for the Mini-Grant Program! 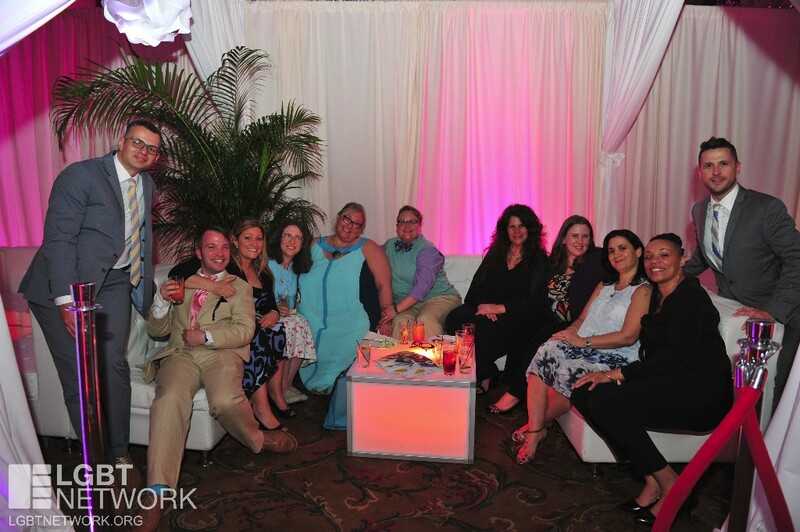 Click the pictures below to see more from the Copacabana Gala!